Suffice to say, today was a good day at Freeman. With the day to ourselves my dad and toured the South and West Glades of Freeman, and skied on the return to the car a line north of Freeman that rarely see skiers. It was nice to lay tracks on slopes that have gone untracked for the season! For our efforts to get up to Freeman we got some nice turns. The snow was skiing well, but at south exposures below 7000 feet, the snow became instructional due to random spots with "Gestapo" crusts. Below, a topo map summarizing today's tour; blue lines correspond to uptracks, and green lines to downhill ski lines we skied. Pedro breaking trail as we head from Freeman South Glades to the West Glades. Inevitably you will run into snowmobiles during a visit to the the west Glades. A view of Wilson Peak from the West Glades. Nice Tracks from another party (apparently from yesterday - Saturday) on the northern extremes of the West Glades. Bogus Basin Shafer Butte and Mores mountain in the background as view from the West Glades. In the morning we put the forecast at low with pockets of moderate. As long as you don't fool around with terrain traps, places of with a low snowpack (already avalanched slopes), or the steeps life should be good. Although we didn't dig a snow pit (because my Dad dug a full pit yesterday yesterday in the same general area) we still gleaned some info. Early in the afternoon the snow at the SW and West aspects between 7-7800 feet had some free water that allowed to form snowballs, not a lot free water, but enough to densify the top layers of the snowpack, and/or form crusts. In other words, if we do not a snow refresh, skiing is going to get challenging! The good news is that the heat has not affceted NW, N and NE aspects above 7000, and you could NOT make snowballs yet. Overall, I had a great time despite a minor problem with the process of breaking in my boots. The skiing was great and the views were even better. It was definitely a good day to be out touring and enjoying the outdoors. In that spirit I will leave you with the essay I wrote a couple days ago for the University of Washington application, which was my last application(woot!). I don't really know how good it is, but whats the harm in sharing? Prompt: In 300 words answer- What do you wonder about, ponder, or wish you knew more about that isn't within your intended filed of study? Would you ever be willing to put everything else on hold to satisfy your curiousity? Nature’s majesty has captivated me since the time I was a child. In part the night sky captivated my interest, but so did the allure of white covered mountains. Unlike most I started skiing at 2 and backcountry skiing only a decade later. In a stark contrast to everyday life the serenity drew me in time after time. At first it was the trackless runs in the backcountry that satisfied me. As time endured though the quiet of the morning climb ever so steadily became the favorite part of my day. I had skied on white slopes, I had climbed on white slopes, but there was one thing left to do: understand nature’s secrets about white slopes. This year nature’s mystery made itself known to me. Course after course, day after day I learned as much as I could about snow science. The thing is, there is a lot to learn. Even those who have been out for hundreds of days learn new things everyday. With every answered question comes ten more questions to answer. 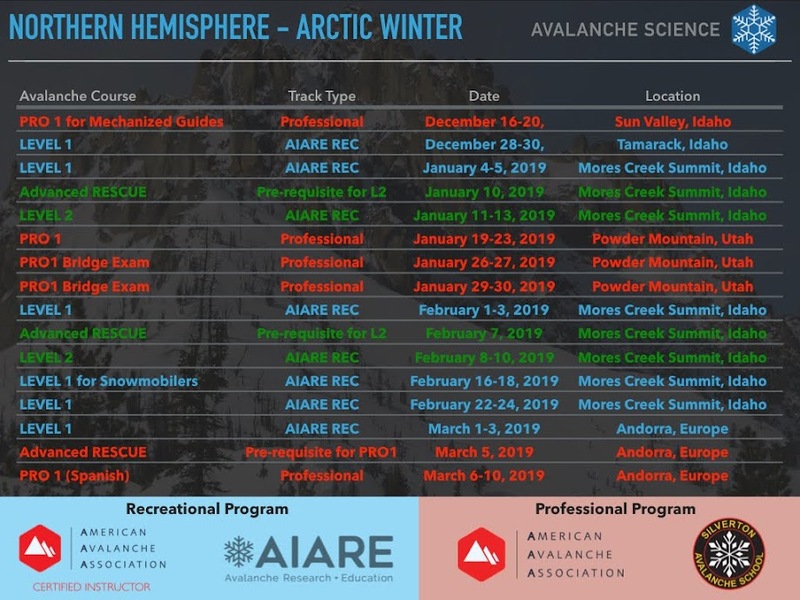 The possibilities and fun in snow science and avalanche education are simply endless. While I wouldn’t put my career in cosmology on hold for snow science just yet, that doesn’t mean it has to be the end of it. To the contrary, pursuing both would lead to a uniquely rich and diverse life. It is akin to the concept of the Renaissance individual. The true capacity of a Renaissance individual is the ability to delve into one subject to find answers to another. In this instance, I not only hope, but in some ways expect to find answers to the big questions of cosmology by merely being in nature’s presence.